Kimi Sadr fled Iran at the age of ten in the company of her mother and sisters to join her father in France. Now twenty-five and facing the future she has built for herself as well as the prospect of a new generation, Kimi is inundated by her own memories and the stories of her ancestors, which come to her in unstoppable, uncontainable waves. In the waiting room of a Parisian fertility clinic, generations of flamboyant Sadrs return to her, including her formidable great-grandfather Montazemolmolk, with his harem of fifty-two wives, and her parents, Darius and Sara, stalwart opponents of each regime that befalls them. 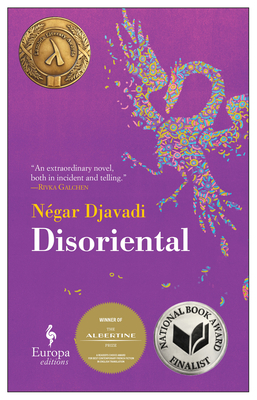 In this high-spirited, kaleidoscopic story, key moments of Iranian history, politics, and culture punctuate stories of family drama and triumph. Yet it is Kimi herself--punk-rock aficionado, storyteller extraordinaire, a Scheherazade of our time, and above all a modern woman divided between family traditions and her own "disorientalization"--who forms the heart of this bestselling and beloved novel.